The Minnechaduza Foundation continues to do the work other won’t or can’t. Our current projects extends into a domain of technical complexity that foreshadows the next 20 years of work. 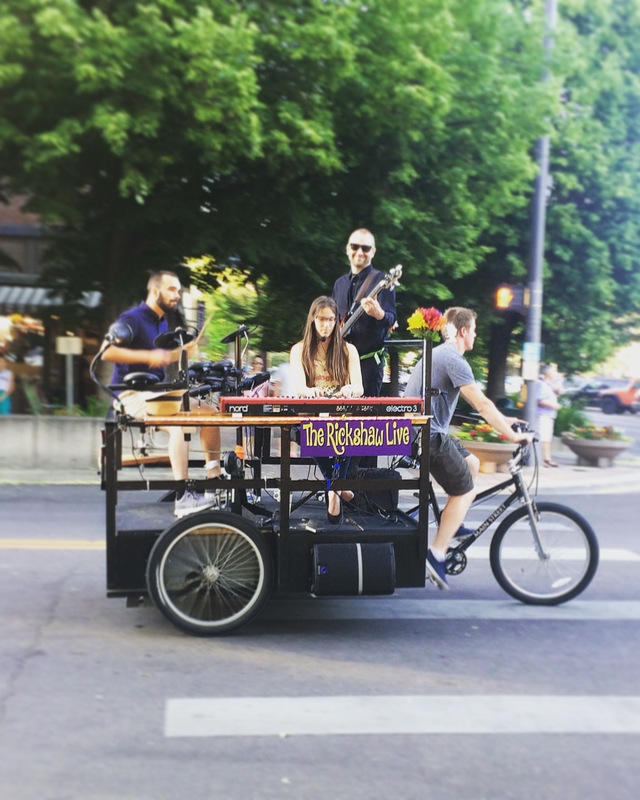 Starting in 2019, the Minnechaduza Foundation will be launching activities to supporting moving (motional) live performances from the specially configured ‘stage’ of a bicycle pedicab (aka rickshaw) pedaled through pedestrian crowds, along shopping fanfares, and in parades, given artists and enthusiasts unprecedented opportunities for interaction! Â Performances will range of music of all genres, Â dance, flat media, story-telling, poetry, and yet performance forms not yet envisioned. Â This activity aligns with our of mission of cultural promotion and you can learn more at www.TheRickshawLive.com! Patients need affordable, accurate, and durable devices for monitoring their lung function at home according to national guidelines. The project aims to review and compare available devices to help patients make the right choice! In 2016, The Minnechaduza Foundation is launching into an initiative to use telemedicine as THE health care delivery method for rural and distressed communities around the world. This initiative, Dox4All International, uses established telemedicine techniques, coupled with nationwide recruitment of volunteer physician and on-ground facilitation by in-country “navigators” to bring an unprecidented amount of high-quality medical consultation to underserved patients in the U.S. and around the world.